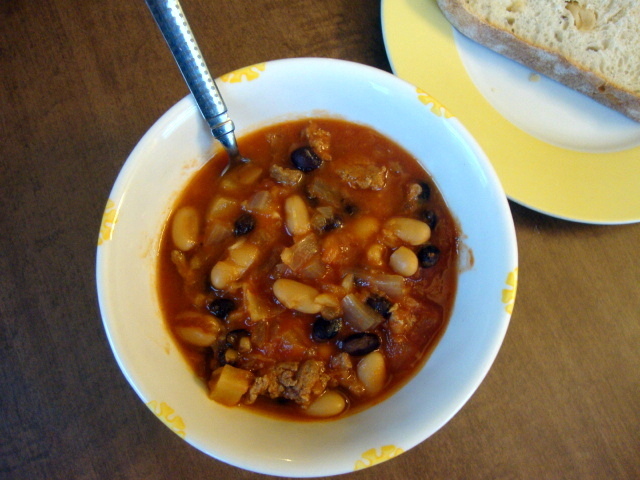 This chili is great for warming up when you’re cold while still pretending that it’s warm outside. The base is hearty and filling and the pineapple lends just a hint of sweetness. Heat evoo in a large skillet over medium-high heat. Add ground turkey and cook until browned, 3 – 5 minutes. Place all ingredients (including browned turkey) into crock pot and stir to combine. Set pot for 4 hours on the “high” setting.